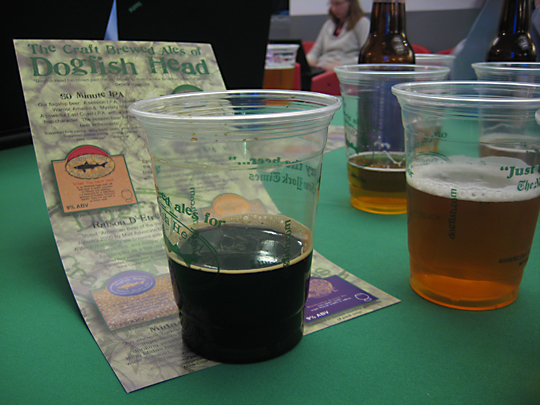 I recently went to a talk by Sam Calagione, the president and founder of Dogfish Head. Dogfish Head is a small craft brewery based in Delaware. It was accompanied by a small selection of some of their beers; I had tastes of their 60-Minute IPA, Midas Touch, Palo Santo Marron, and Raison D’Etre. These were all well-balanced beers; my favorite was the Midas Touch. I’ve enjoyed Dogfish Head beers for years, I still remember tasting their Punkin Ale years ago in a mid-Atlantic brewing festival in Northern Virginia. 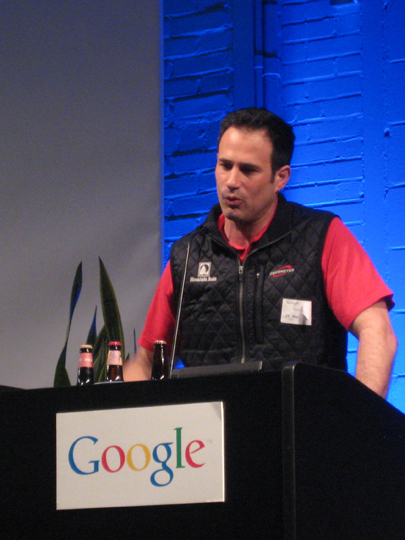 The lecture did not disappoint: Sam Calagione touched on all aspects of his business, including going through the background of several of his beers, discussing the business of craft breweries, and speculating on the future of his business. He was the subject of a profile in the New Yorker in late November of 2008. In the article, Garret Oliver, the brewer at Brooklyn Brewery was quoted as saying of Dogfish Head’s 120-Minute IPA, “I don’t find it pleasant to drink […] I find it unbalanced and shrieking.” During the Q&A; portion of the talk, I asked about the quote, and Sam was nothing but gracious. Sam noted that he felt craft brewers should generally support each other, and that part of the craft brewing movement is drinking what you like and not dictating what others should like. He also noted that he and Garrett were on good terms and regularly exchanged beer. Hopefully the talk will be posted on YouTube, and I’ll be able to share a link. 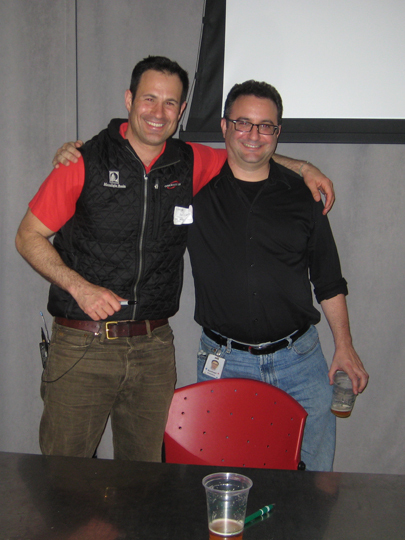 I am proud to say I am a beer geek, and here is a geeky photo of me with Sam Calagione. Sam and Sam, just a couple of beer guys.